No DIY this weekend! No house projects or crafts! Just good ol’ relaxing and quality time spent with pups. We realized the summer is speeding past us and we can count only two weekends away with the dogs. Speaking of which, if you aren’t yet following us on Pinterest, we have an inspiration board devoted to dog friendly travel. 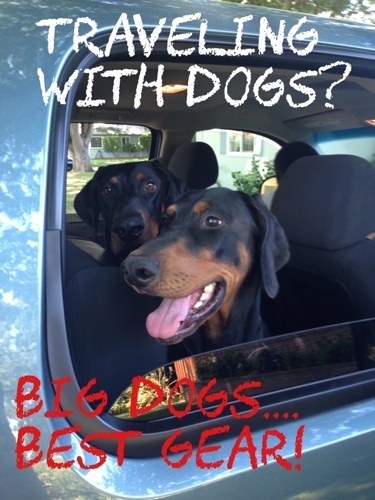 However traveling with two large dogs in tow is not always the easiest…At least without the right gear. Therefore we rounded up our favorite dog gear for easy camping, and travel with the pups. These crates have been crucial for stress free, dog friendly travel. 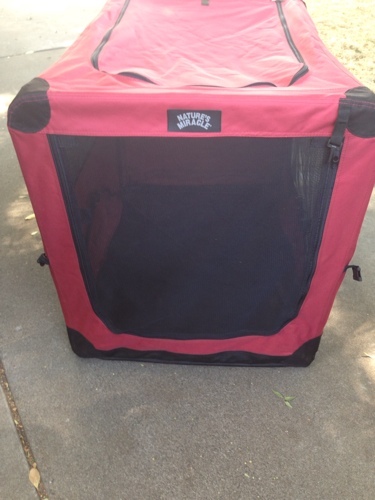 The crates are durable, light weight and easily fold flat to fit into car trunks. Here is our crate after 5 years of wear and tear, and it still looks fabulous. When the dogs see the crates getting packed in the car they know it’s vacation time! We think we finally found the perfect dog beds to fit inside the crates. 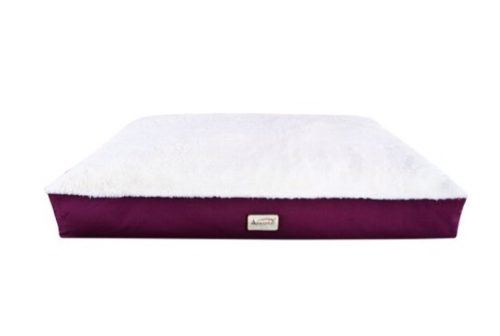 Supposedly waterproof, washable, and durable orthopedic dog beds. We’ve used egg crate mattress toppers and pillows to make due over the last few years but as the dogs are now “middle aged” we figured we’d invest in some age appropriate beds for them. 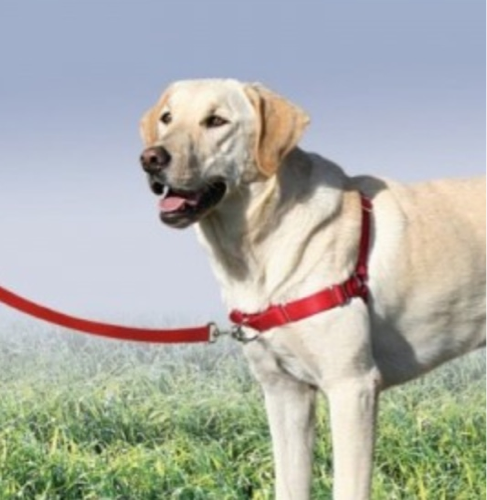 These front lead dog harnesses are perfect for long hikes. The dogs pull less than the traditional back lead harnesses and less strain on their backs/necks for tireless hiking. Believe it or not these were on our wedding gift registry at REI. 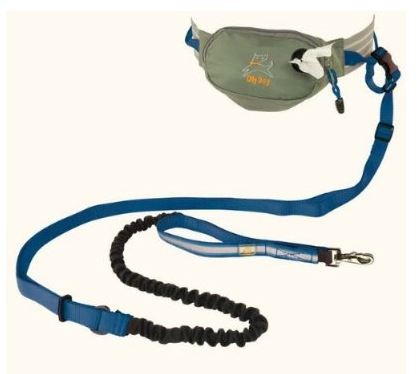 Perfect for runs on the beach with fido, we added carabiners to the leash ends for easier clipping in and out of the harness. The pack has just enough room for an iphone, hotel key and plastic baggies for poop duty. This wax is amazing! Cracked paws begone! 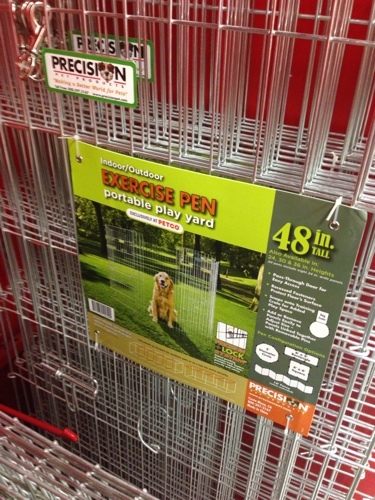 It saves our pups paws on the trail and general protection from long distance walks. Since our dogs won’t wear booties, this is the most economical and best option for paw protection. 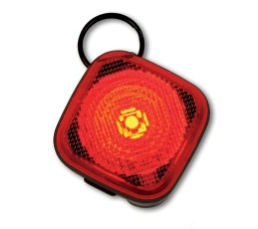 Finally the last of our favorite travel gear is the beacon light. Why? Ever try to see your black dog at night? Well our dobes have the perfect night camouflage so these are essential for safety and night time walks. Hope our little list has helped all you dog parents out there. 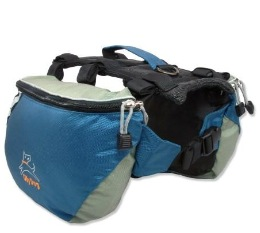 We are always on the search for great gear and ways to travel stress free with your dogs. Happy Sunday everyone! This entry was posted in Uncategorized and tagged beacon light for dogs, easy walk dog harness, foldable dog crate for big dogs, leash for running dogs, liquid band aid for dogs, natures miracle dog crate, Olly dog by Tandra. Bookmark the permalink.